16 Perfect White Marble Side Tables We Really Want! 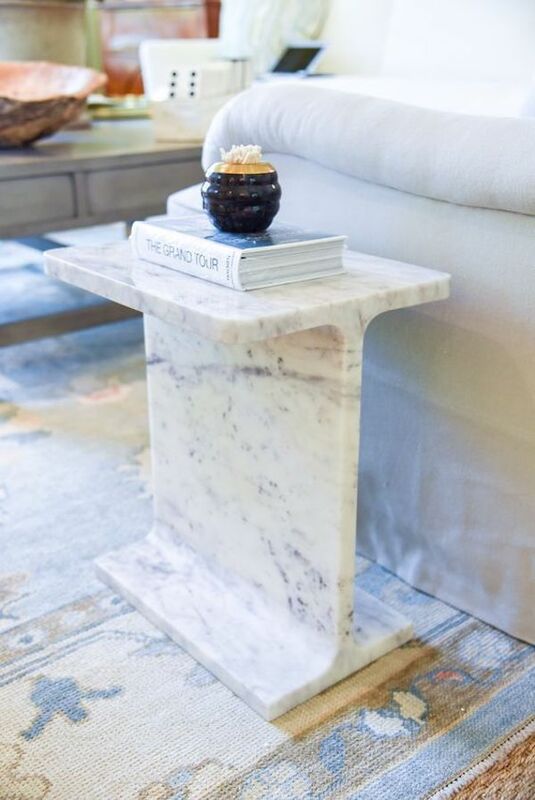 My obsession with marble continues… This time with marble side tables! 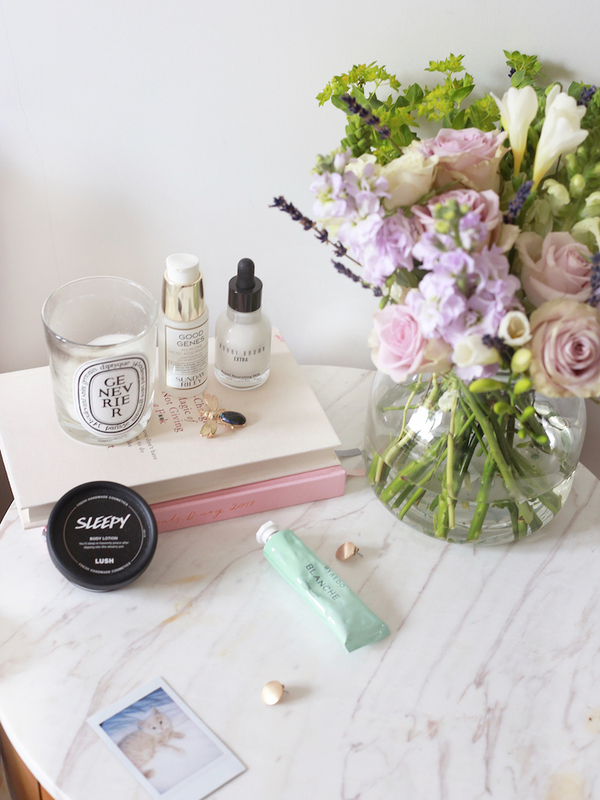 These little beauties can easily be added next to the sofa or by the bed. 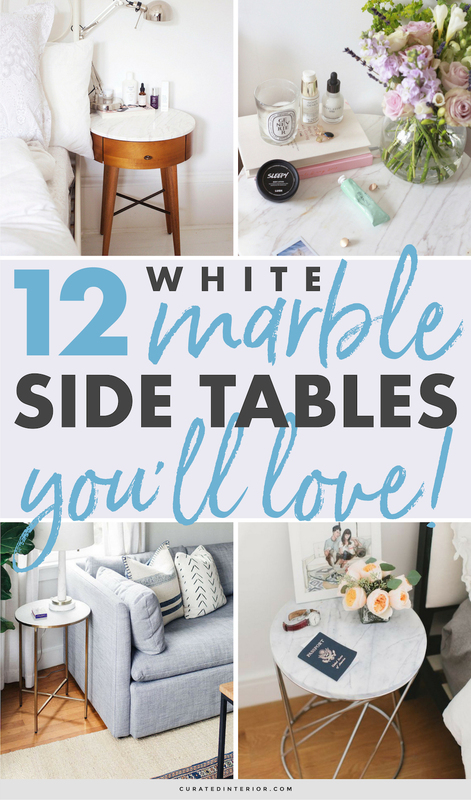 Their size makes them easy to add to any room, in addition to keeping them more affordable than a marble dining table or marble coffee table. 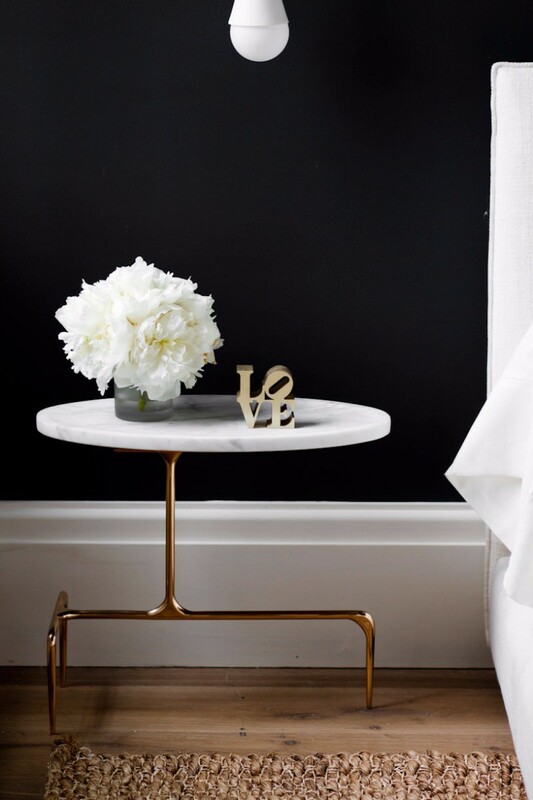 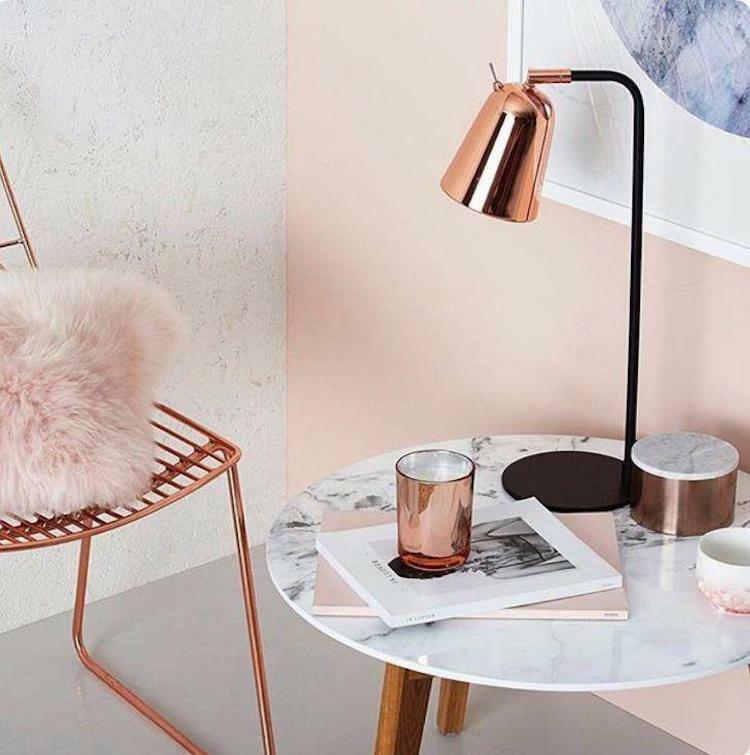 As far as the base, you can opt for a few different choices: there are marble side tables with many different finishes like gold, wood, black and even sold marble! 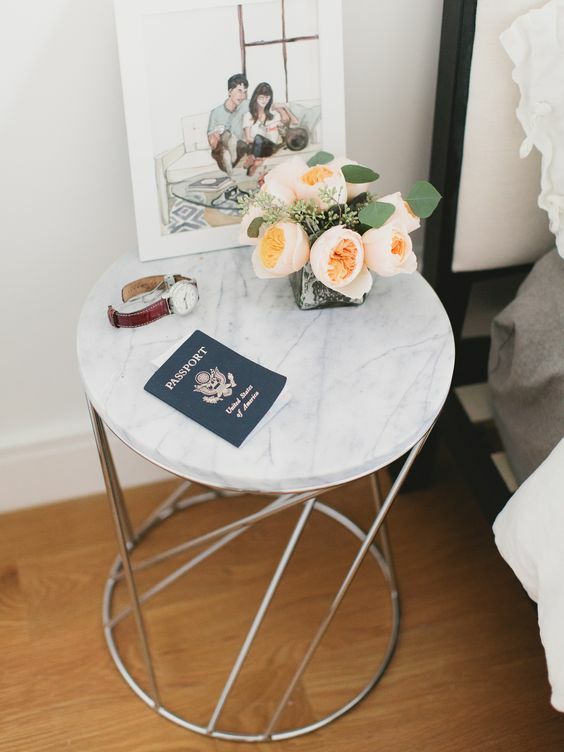 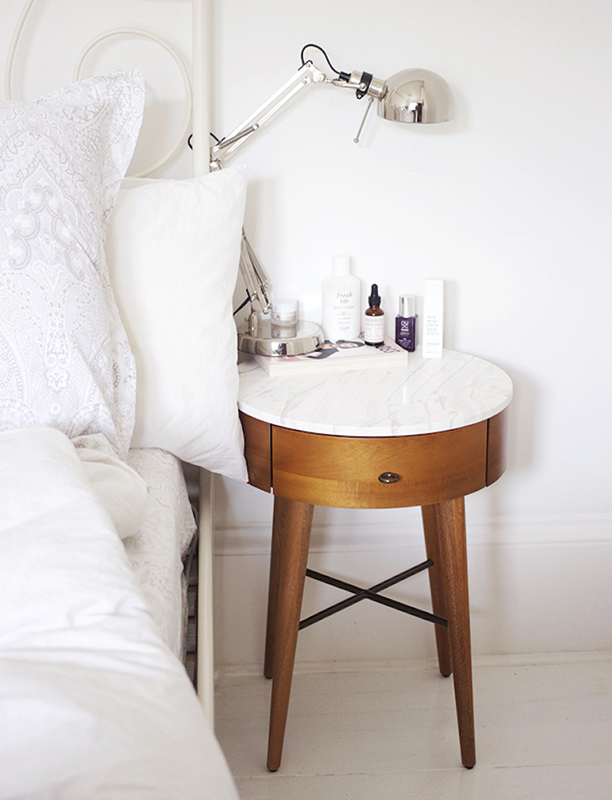 Above, Kate La Vie’s marble bedside table looks fantastic next to her bed. 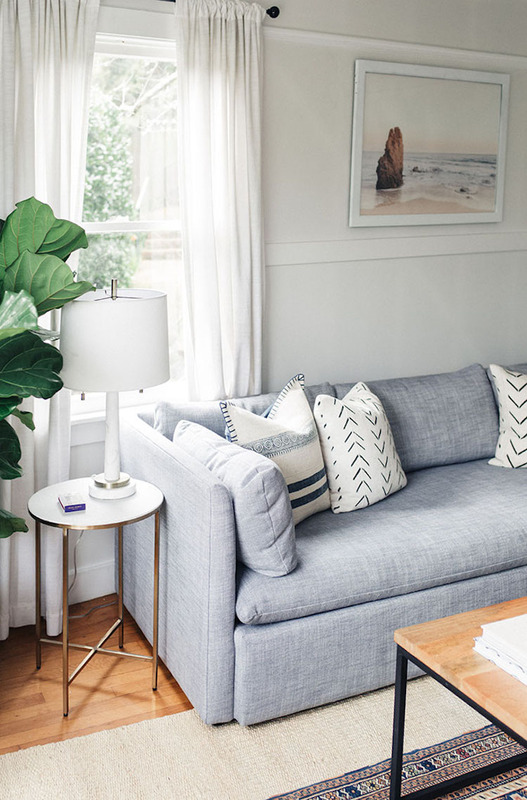 See 16 of our favorite picks below – most of which are less than $500 each! 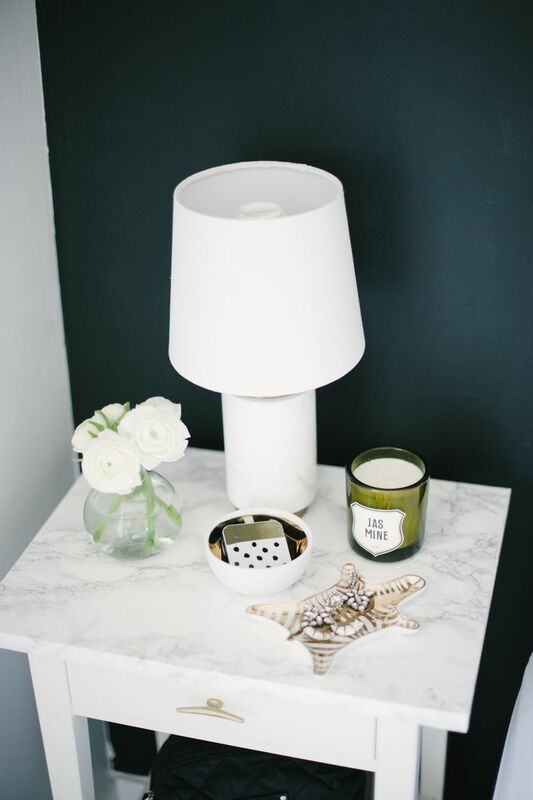 Do you have a white marble side table you love?